So’s efforts paid off, literally. He collected $75,000 for winning in London and a bonus of $100,000 for winning the tour, bringing the grand total from the four events to a whopping $295,000. This past year, 2016, will definitely be one that the 23-year-old will never forget. After winning the Sinquefield Cup, Wesley So entered the London Chess Classic leading the Grand Chess Tour. The only player who could mathematically catch up was four-time U.S. Champion Hikaru Nakamura. The tournament started dramatically, as the two men were scheduled to meet in the first round, with So having the black pieces. Shockingly, things turned sour for Nakamura quite quickly when he blundered out of the opening, handing his opponent the effortless point. So solidified his lead with a win in the very next round over England’s hometown hero, Michael Adams. Nakamura had a tumultuous tournament that included some flashy wins, but the loss in round six against his other compatriot, current U.S. Champion Fabiano Caruana, devastated his hopes of catching So. After six rounds, So had a half point lead over the field and went on to win by taking no risks and drawing the rest of his games. Caruana finished second, only half a point behind So. 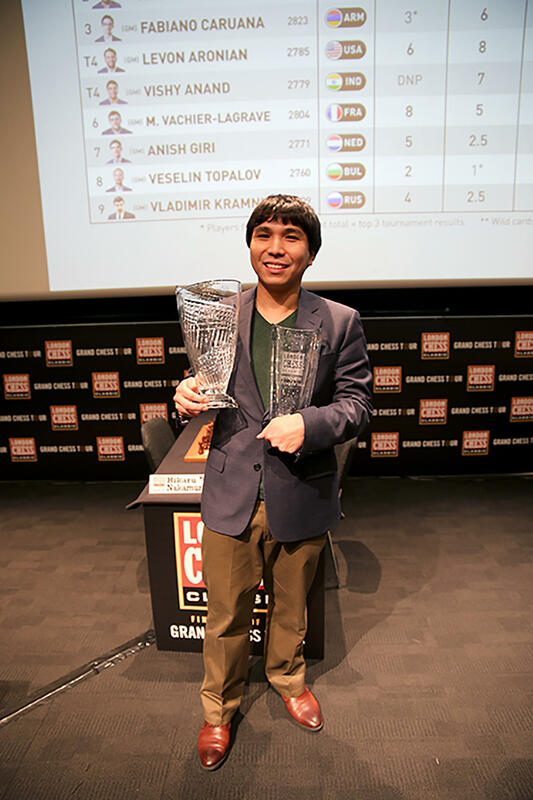 American Grandmaster Wesley So, the 12th person in history to cross the 2800 rating mark, pictured here with his trophies for the 2016 London Chess Classic and the overall 2016 Grand Chess Tour. So, a humble young man, seemed to be in disbelief of his remarkable achievement. He spoke highly of the other nine competitors and expressed gratitude for the learning opportunity. Many Grandmasters, including former World Champion Garry Kasparov, praised So’s play and declared him as the player to watch in the coming years. 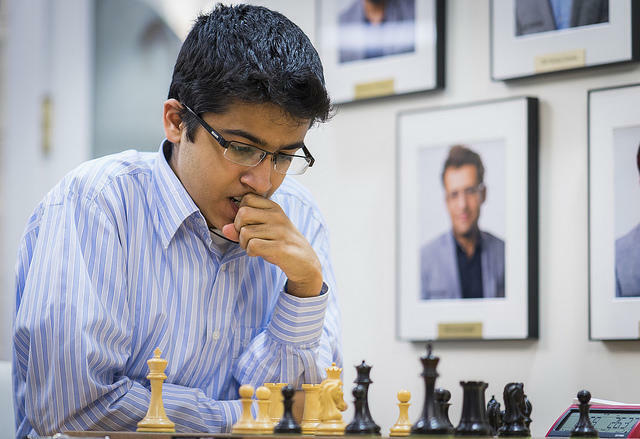 Another world champion, Grandmaster Vishy Anand, commented in London that Wesley’s casual demeanor over the board gives the impression of an effortless march to the top. Two other notable performances were came from the two former World Champions, Viswanathan Anand and Vladimir Kramnik. The veterans yet again demonstrated that they are still a force to be reckoned with, and finished tied for fourth through sixth place along with Nakamura, behind So and Caruana. One of the most common questions Anand encounters, and perhaps one of the most frustrating for someone still demonstrating his prowess, is whether he is planning to retire. The chess world can breathe a deep sigh of relief as both Anand and Kramnik expressed no interest in retirement and still consider themselves as possible threats to the World Champion’s crown. Veselin Topalov, who hasn’t exactly been impressive lately, faced his toughest challenge yet when he was only able to score two draws in eight games, losing the rest. As one of the liveliest competitors who never shies away from battle, Topalov entertains his fans around the world nonetheless. But, as all great fighters do, he came back with a vengeance by playing the longest game in the last round and scoring his first and only victory, defeating Levon Aronian of Armenia. Without a doubt, his overall performance was nothing short of a disaster, but his fighting spirit will serve as an inspiration for chess players worldwide. American fans in particular should be pleased with the final standings of the Grand Chess Tour. 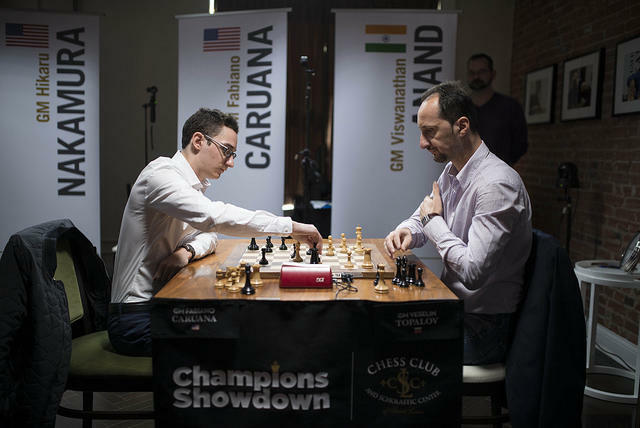 Right behind So were his two Olympiad teammates, Fabiano Caruana and Hikaru Nakamura, the trio that lead the U.S. team to its first Olympiad gold medal in 40 years this past September. After this incredibly strong display, the triumvirate cemented the United States’ reputation as a superpower in the chess world. With all three men currently among the top 10 in the world, there is every reason to believe that the next challenger who attempts to dethrone World Champion Magnus Carlsen will play under the American flag. Next year’s U.S. Championship also promises to be a special treat as the fans can watch these three giants battle it out right here in St. Louis. Author Tatev Abrahamyan started playing chess at eight after her father took her to the 1996 Chess Olympiad in Yerevan, Armenia. There she met Grandmaster Judit Polgar, arguably the greatest female player of all time and the only woman in the tournament. Currently Abrahamyan is the third highest rated female in the U.S. She has represented the United States in four Olympiads and two World Team Championships since 2008. The St. Louis Chess Club and Scholastic Center is rightfully considered the most innovative, as well as friendliest, chess club in the world. The club made its reputation by hosting elite events such as the national championships; women’s championships and junior championships, as well as the prestigious Sinquefield Cup. The club also hosts weekly tournaments for club players and attractive competitions for master class players. From Nov.17-22, the club hosted the 2016 St. Louis Autumn Invitational, which includes the international masters and international grandmasters tournaments. Each tournament was a 10- player round-robin with prize money as well as “norm” opportunities at stake. I don’t mean to go rogue, but one of the more controversial topics in the chess world currently is the amount of time a chess game should take. There are the chess purists, who believe high-level chess games should be played at the classical time control (those games take 4-5 hours usually), and then there is a growing group of the chess community which thinks faster chess is better chess. That said, the games may not be better, but the idea is that the speed may be better for excitement and gaining more of a general audience. The World Chess Championship is the pinnacle event of the chess world. The process to earn the right to challenge the reigning world champion is grueling, and the match itself is by far the most intense event in chess. The championship is 12 games played over three weeks. This year's championship was held at Fulton Fish Market in the South Seaport neighborhood of New York City. 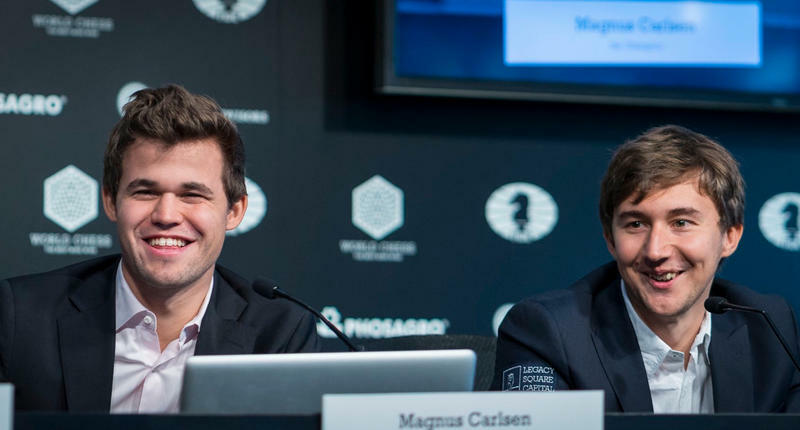 The reigning world champion, Norwegian Magnus Carlsen, was challenged by Russia's Sergey Karjakin, the youngest grandmaster in the history of chess. The prize fund? A cool $1.1 million.